The Port of Portland’s Permanent Art Collection greatly contributes to the pleasing ambiance of PDX. In two and three-dimensional form, the Port’s collection captures the collective memory and history of our region. Artists’ impressions and skilled craft convey the values and spirit of the Pacific Northwest to visitors and locals alike. 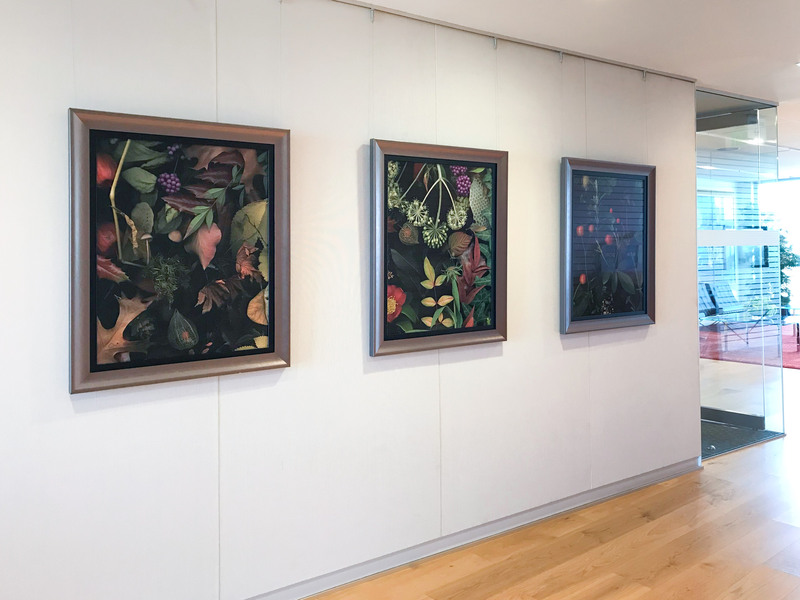 The permanent art collection includes work by renowned artists such as Louis Bunce, Jack Portland, Deborah Butterfield, and notable others on display at Portland International Airport as well as in the Port of Portland Headquarters. During this Thanksgiving holiday, the Port is very grateful for the most recent acquisition in our permanent collection from Portland artist Deb Stoner. 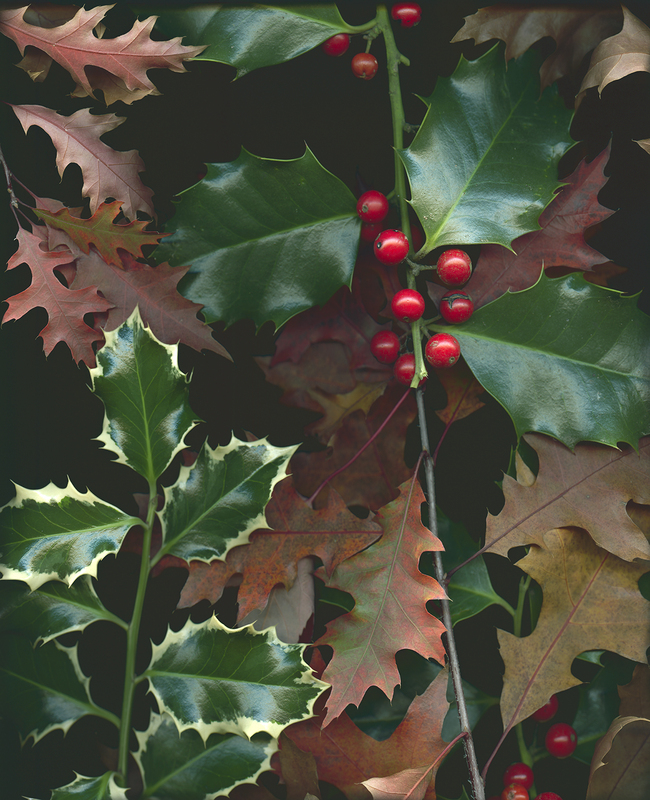 Stoner very generously donated twelve stunning large-scale color photographs from her series A Year in the Willamette Valley after her exhibition with the PDX Art Program ended this past summer. 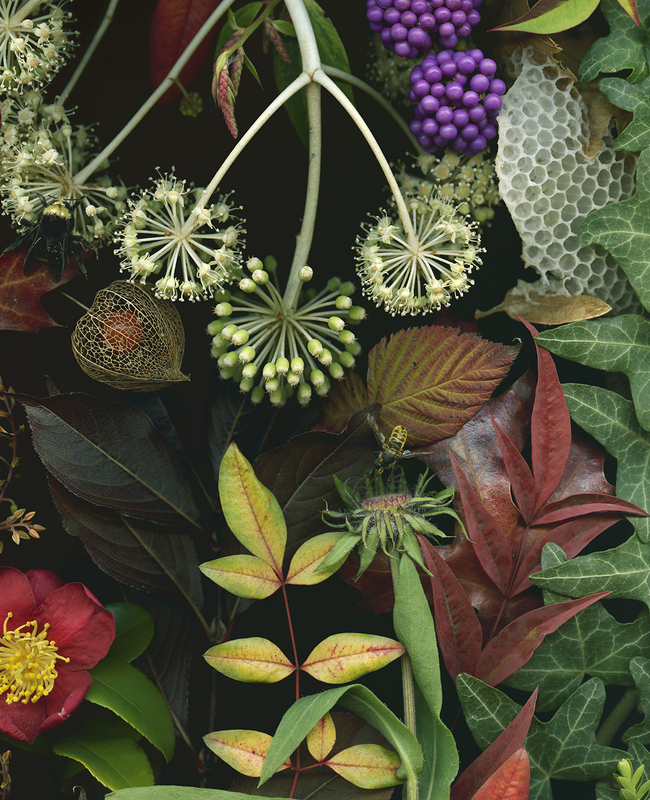 Deb Stoner’s exceptional fine art photography process involves growing and collecting indigenous plants, flora, and insect specimens. 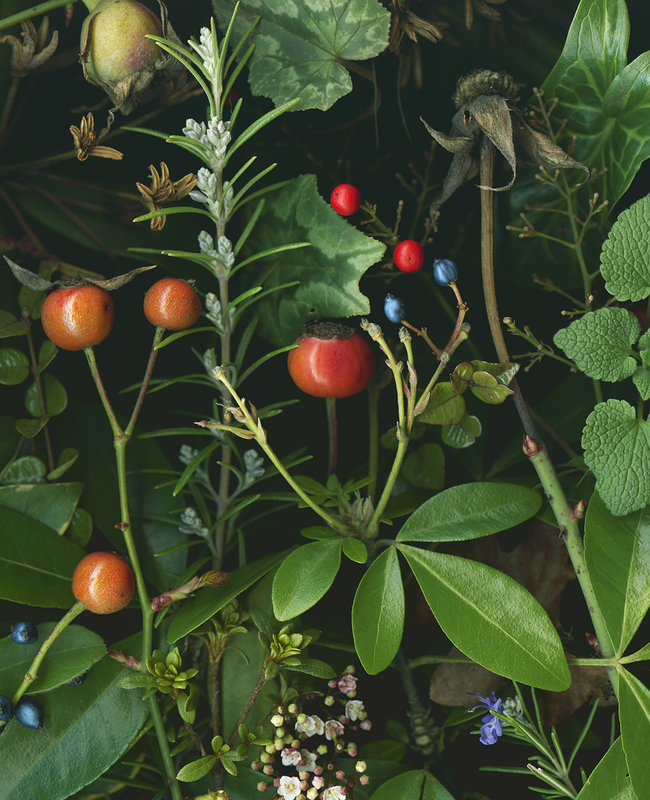 Stoner carefully and thoughtfully choreographs her still life images from the natural world surrounding her home in Oak Grove, Oregon. 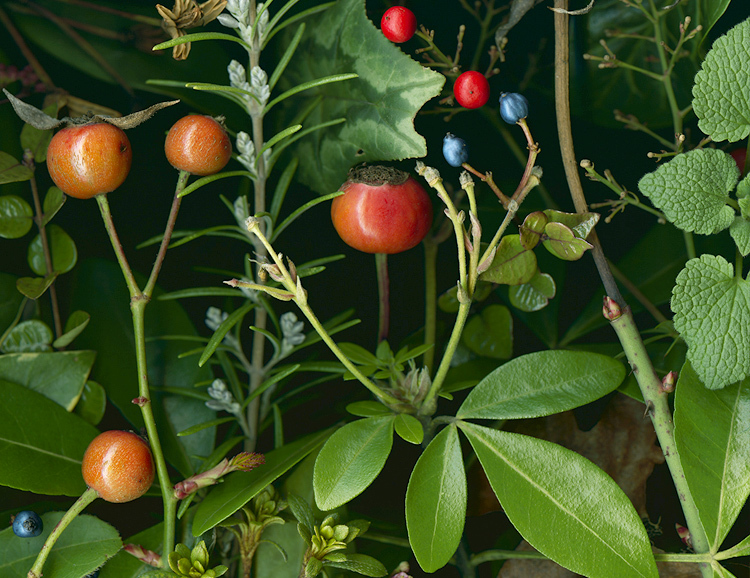 Her series titled A Year in the Willamette Valley depicts the changing seasons of regional plant and insect life, from dark winter through emerging spring, to summer harvest and autumn leaves of the Pacific Northwest. 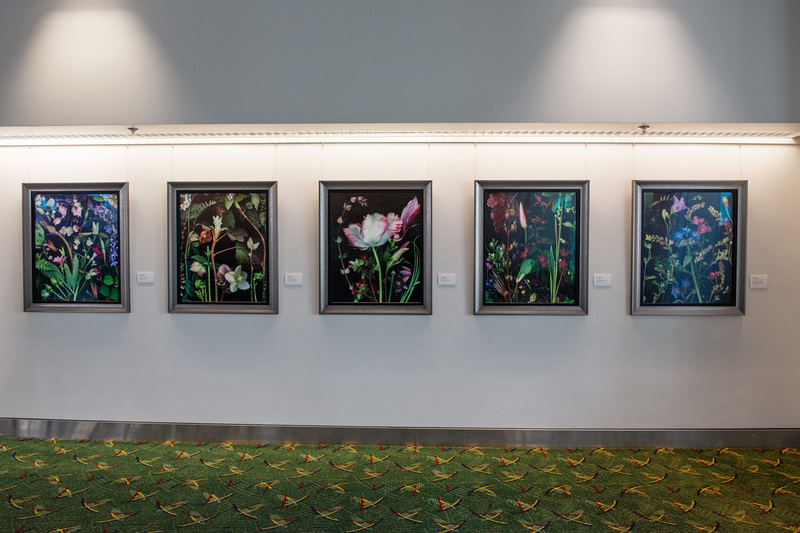 Between July 2016 and July 2017, visitors to Portland International Airport had the unique opportunity to view Stoner’s entire series of twelve photographs in the Concourse Connector rotating exhibition area of the PDX Art Program. Installation view of A Year in the Willamette Valley by Deb Stoner, Concourse Connector. Currently, five photographs from Deb Stoner’s series are on display on the south wall pre-security near/opposite the Concourse DE screening checkpoint. Three additional photographs from the series are also on view in the 8th-floor reception area of the Port of Portland Headquarters building. Please visit these gorgeous works during your travels this holiday season. Wishing everyone a safe, bountiful, and nourishing Thanksgiving! 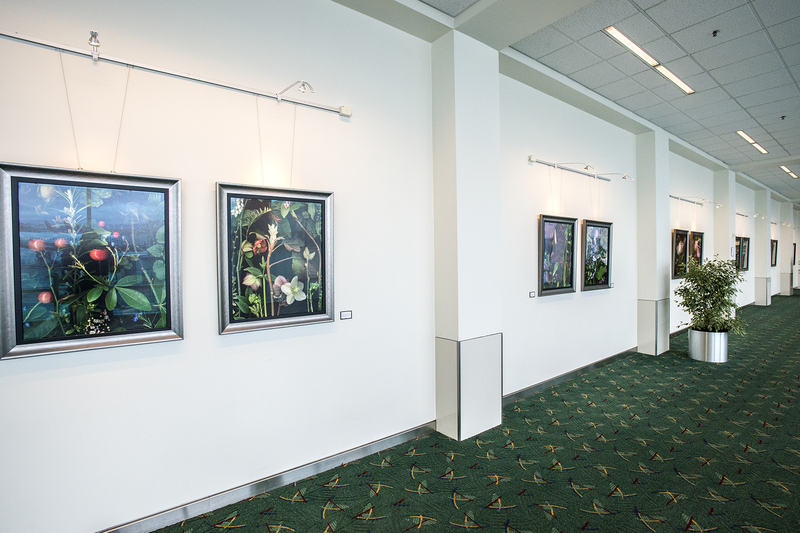 Installation view of A Year in the Willamette Valley by Deb Stoner, pre-security Concourse DE. Installation view of A Year in the Willamette Valley by Deb Stoner, Port Headquarters, 8th Floor Reception Lobby. Deb Stoner earned a BS in Geology from UC Davis, and then after many years of bench work as a jeweler learning technical skills, went on to earn an MFA in Jewelry/Metals from San Diego State University, working with esteemed mentors Arline Fisch, Helen Shirk, and photographer Walter Cotten. An Artist-in-Residency position at the Oregon School of Arts and Crafts in 1989 brought her to Portland, Oregon, where she still lives, teaches, and works her artistic practice every day. Deb’s work has been supported by grants from the Regional Arts and Culture Council, a fellowship from the Oregon Arts Commission, and a broad range of generous collectors who continue to delight in her artistic explorations. Deb’s teaching experiences have allowed her to travel internationally, sharing ideas at some of her favorite places, including the Haystack Mountain School of Crafts in Maine (where she served as a Trustee on the Haystack Board from 2001-2010), Penland School in NC, Arrowmont in Tennessee, the National College of Art and Design in Ireland, the Nova Scotia College of Art and Design in Halifax, among many others. Her deep exploration of the design and making of eyewear brought praise from the fields of design, fashion, and art, and continue to inspire. For more information about Deb Stoner and her practice please visit her website: www.debstoner.com.